Welcome to Baby Central - Hong Kong's oldest online baby store where we stock everything you need for babies and mums. We know how difficult life can be with a bump or baby in tow so we have made shopping for your little one as easy as possible. Need something in a hurry? Then be sure to check out our next day delivery service. No more dragging your buggies or strollers through the crowded streets of Central. All you need to do is browse our site, place your order then sit back and relax. As Mums ourselves, we know the importance of buying the best for your baby and your family. Which is why we only source products from well known reputable international brands. Our mission at BABYCENTRAL.COM.HK is to bring together peace of mind and convenience to provide you with the best online shopping experience for all your baby's needs and fast next day delivery on all the essentials. Just a few of our favourite brands include Melissa & Doug toys, Lamaze, The First Years, Aden & Anais all available here at our online baby shop. Here at BABYCENTRAL Hong Kong, we believe your online shopping experience should be as easy and convenient as possible - which is why we offer FREE SHIPPING on orders above HK$300 and a no-questions-asked 14 DAY RETURN POLICY. We provide a Mum friendly customer service on our service hotline. All you need do is call +852 5808 8868 , or send us an email at [email protected] and we will attend to your every need and query. Visit BABYCENTRAL.COM.HK now, for the best of online shopping for baby. 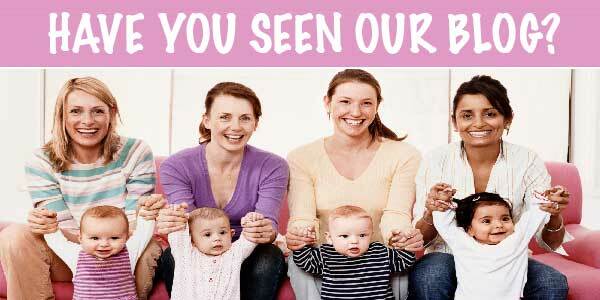 Sign up to our newsletter to get a $100 off coupon and receive news, baby advice and deals!